It had always been an idea in the back of her head: a duvet cover with a print of cardboard boxes. Especially made for charity. In 2007, advertising professional Peggy decided to execute on the idea. Together with her partner Erik she created Le-Clochard and Le-Trottoir. A duvet cover and fitted sheet that look like a cardboard box and a sidewalk. Most profits of these two special designs went to a charity organization supporting homeless youngsters in the Netherlands: ‘Stichting Zwerfjongeren Nederland’. Supplies sold out in no-time. 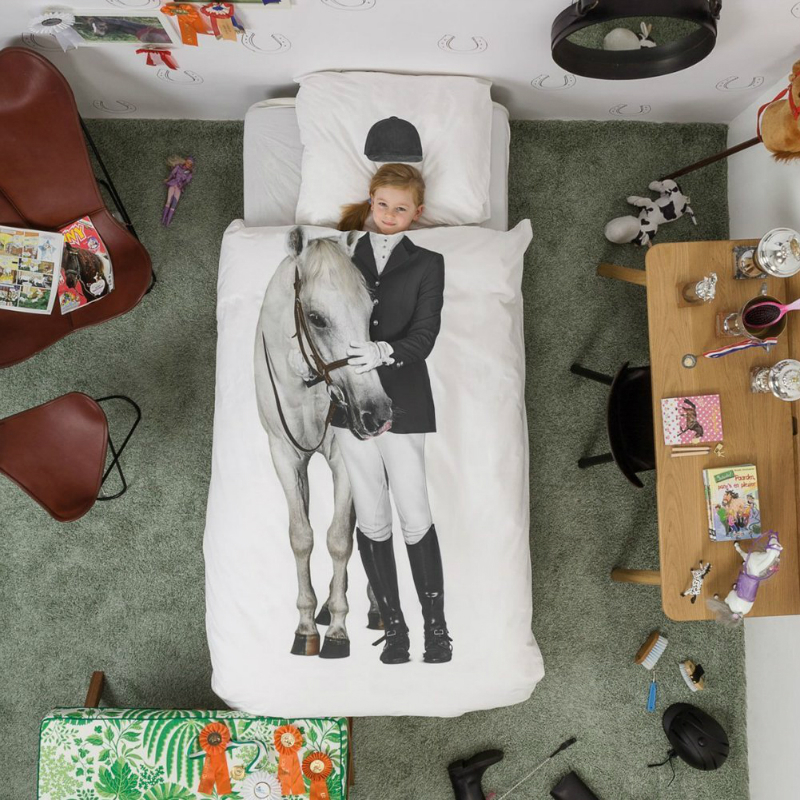 Snurk Equestrian Horse Duvet , $79.95. Does your little one dream of riding and their horse? Bring those dreams a little closer with this duvet cover and pillow case by Snurk. The perfect accent to your little one’s room the Snurk duvets help kids to dream about what they want to be or role play, plus making their bed gets that much easier so they can see the rider when the bed is made. Storytelling each night can start with a tale of where your little one rode and what they saw. Snurk Princess Duvet Cover , $81.95. A bed fit for your little princess, this duvet cover is sure to be a favorite of children and parents alike. 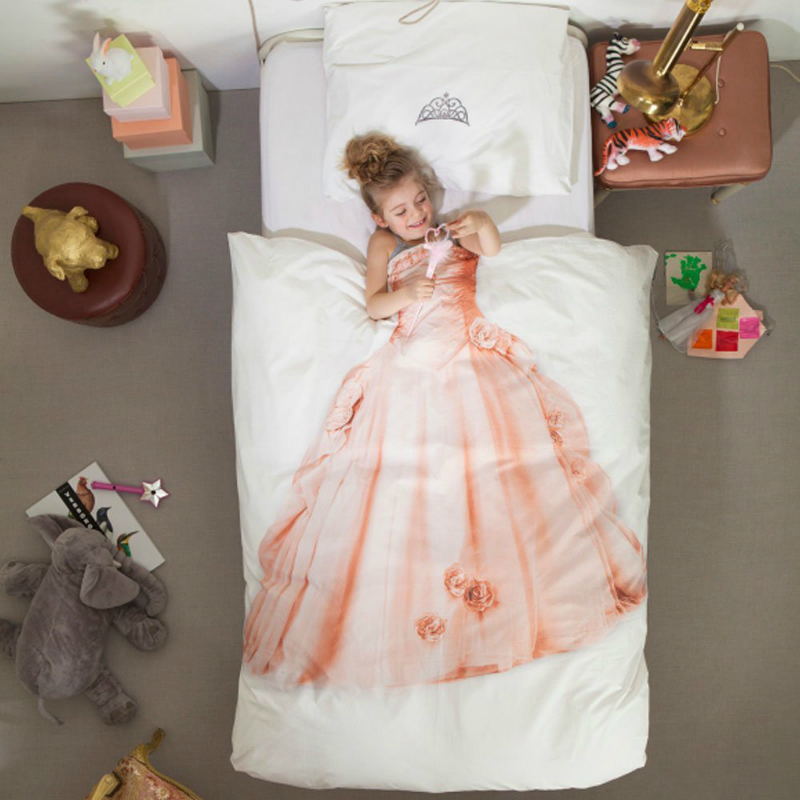 The princess dress photo is printed on the duvet so when your child lays under the duvet cover it looks like they are wearing a beautiful ball gown, and dont forget the tiara on the pillow case! 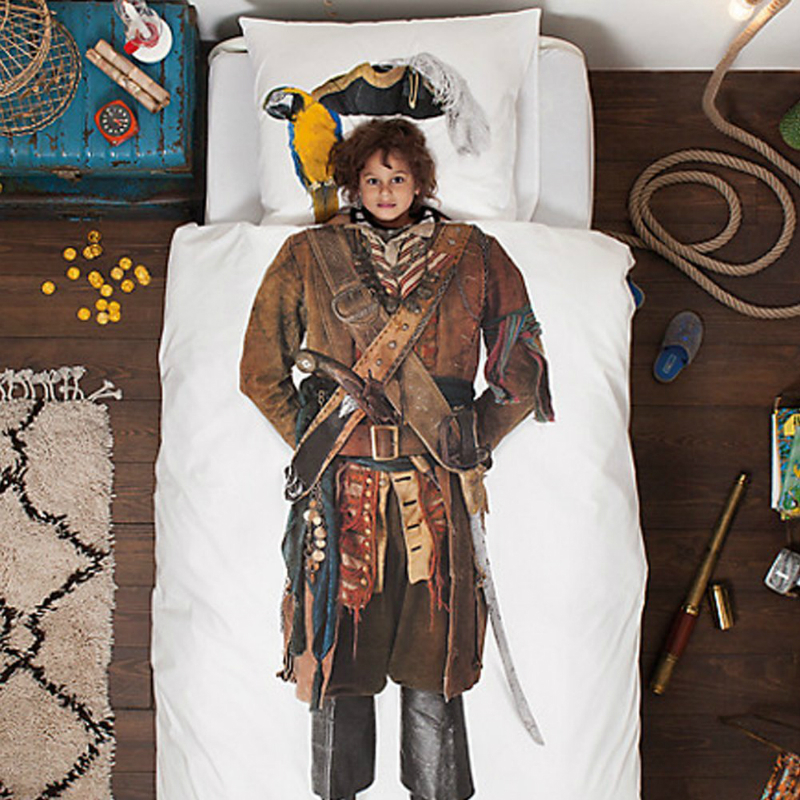 These fun duvet covers from SNURK are sure to add a little fun to your bed. The duvet is made with 100% soft cotton percale and is standard Twin size. Snurk Astronaut Duvet Cover , $98.00. 3, 2, 1, Blastoff! Sure to orbit your child into a deep sleep this fun and stylish duvet from SNURK is a great way to dress up your child’s room and encourage imaginative play. 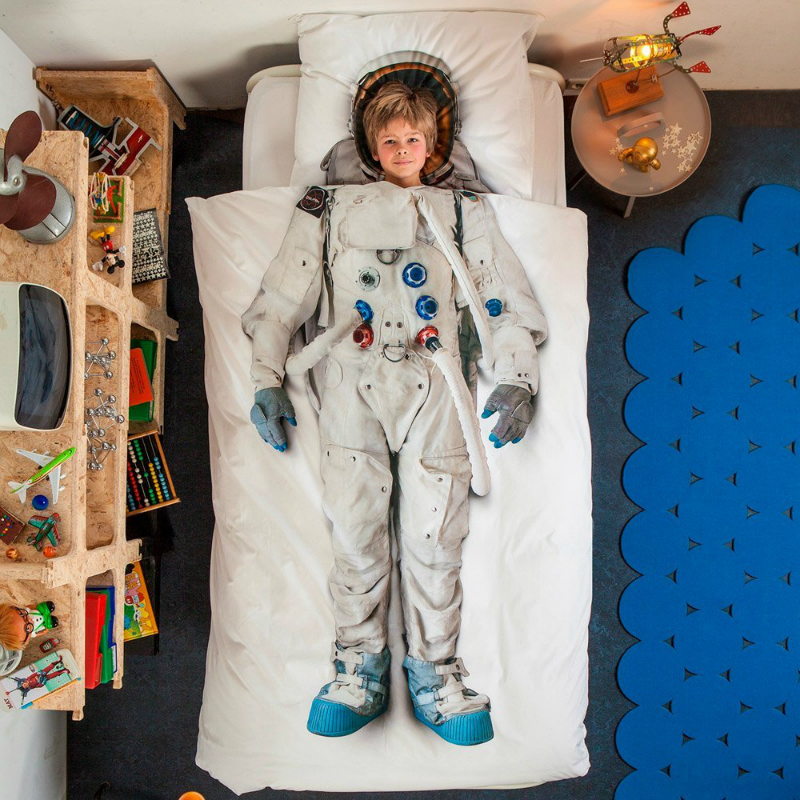 The set includes the duvet with a space suit printed on it as well as the pillow which is made of the space helmet, so maybe they will actually want to make their bed to see the whole look put together. Snurk Fireman Duvet Cover , $89.95. Where is the fire? With this duvet cover your little one is sure to love their dreams of firefighting and saving the day. 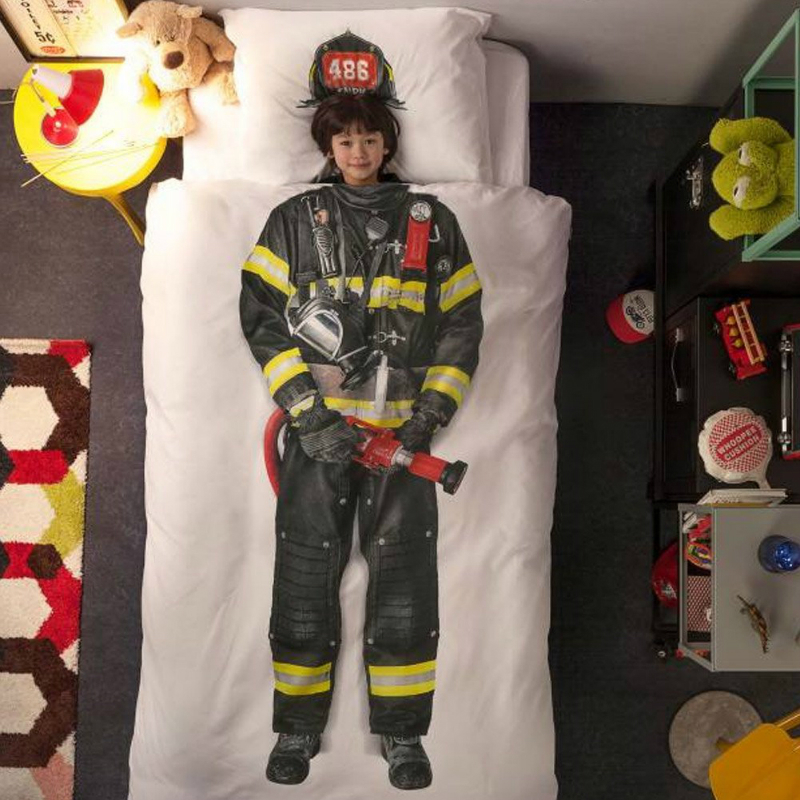 The duvet cover has a printed image of a firefighter on the front with the helmet on the pillow. When your child is in bed with the duvet pulled over them it looks like they are the image on the bed, a great way to get them in bed at night (and make it in the morning).